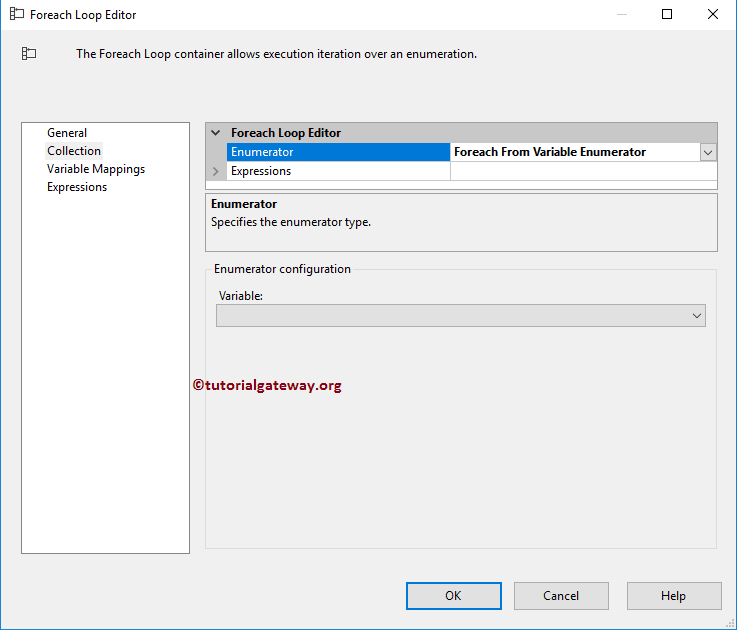 The SSIS Foreach Variable Enumerator is used to enumerate the data inside a Variable. 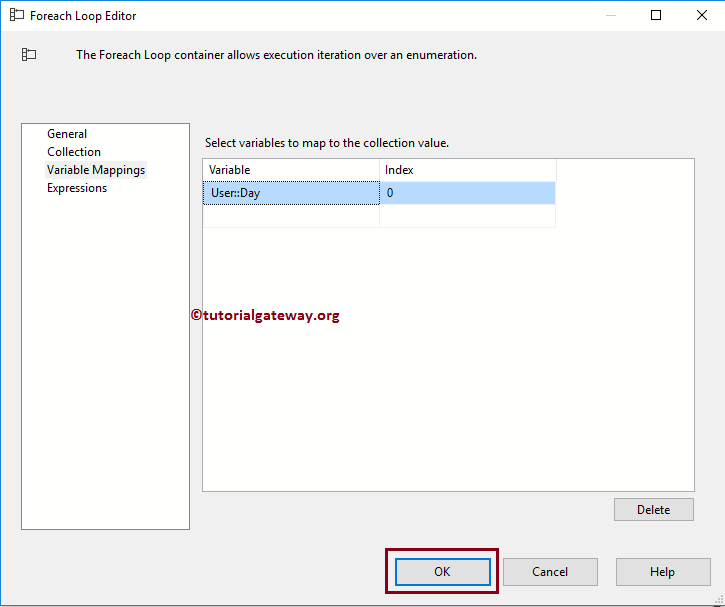 You can use this enumerator to loop over the Object variable to get data from that object. For example, to iterate data coming from Arrays, Array Lists etc. 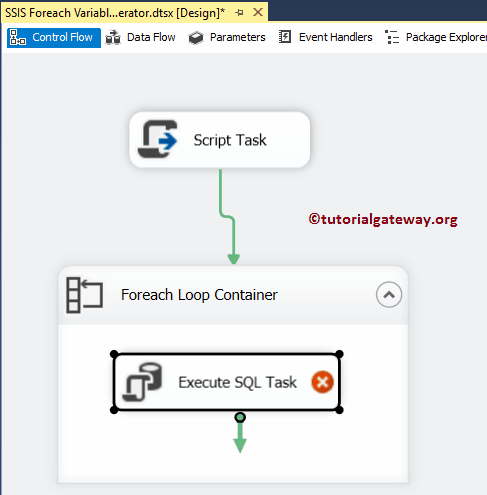 In this article we will show you, How to iterate Array List using SSIS Foreach Variable Enumerator, and save data into SQL Server table with example. 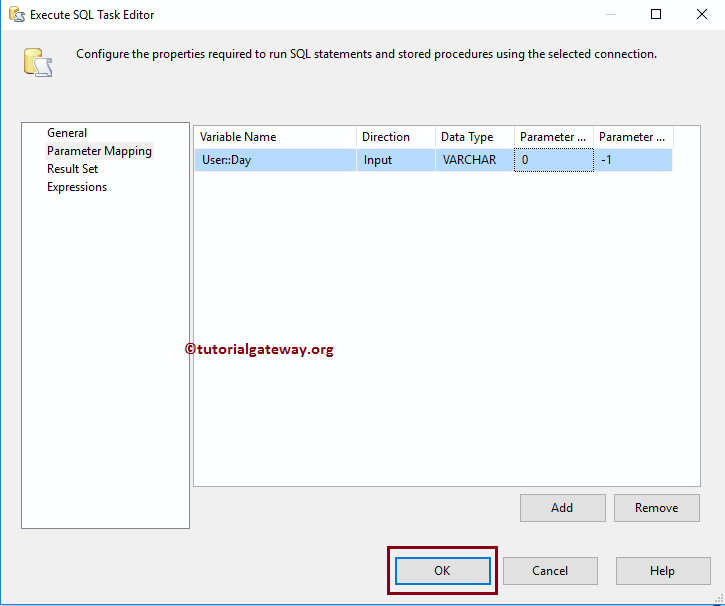 Let me create an Empty table to hold the data coming from Array List. And you can see the data inside the table as well. 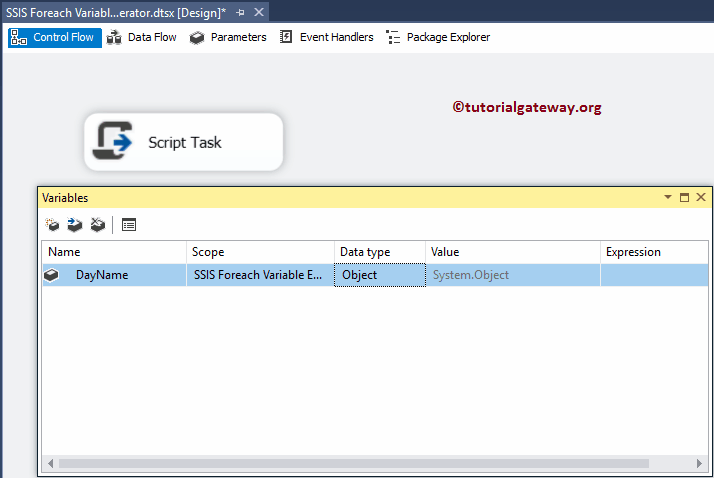 Before we start configuring the Script Task, let me create a variable of Type Object. 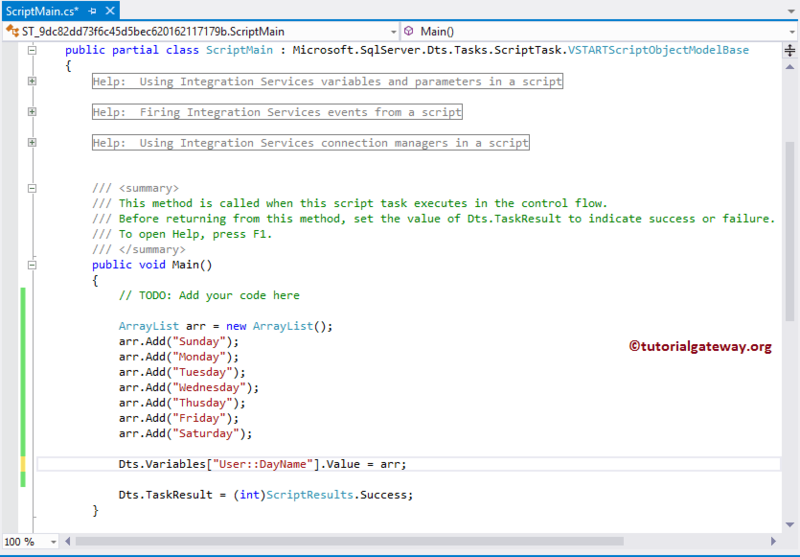 This is the variable that we are going to use inside the script to hold the array list items. 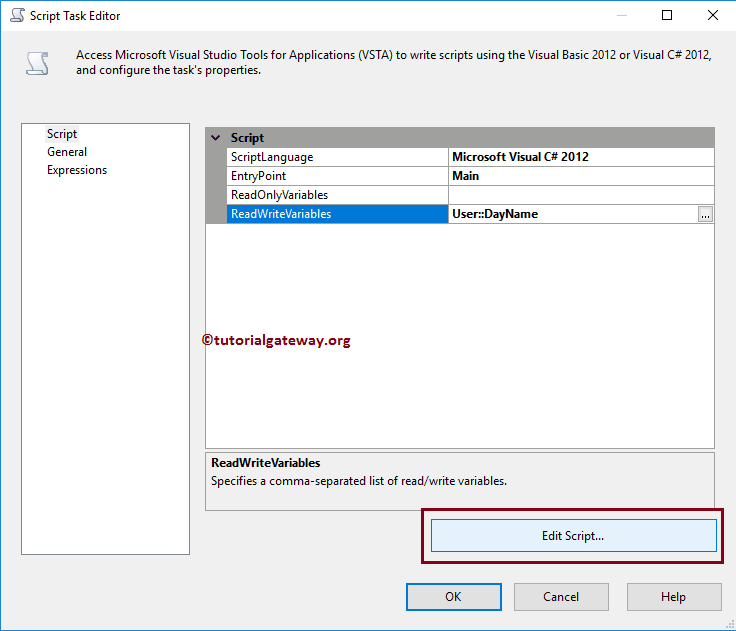 Double click on the Script task will open the following editor to configure the Script task components. 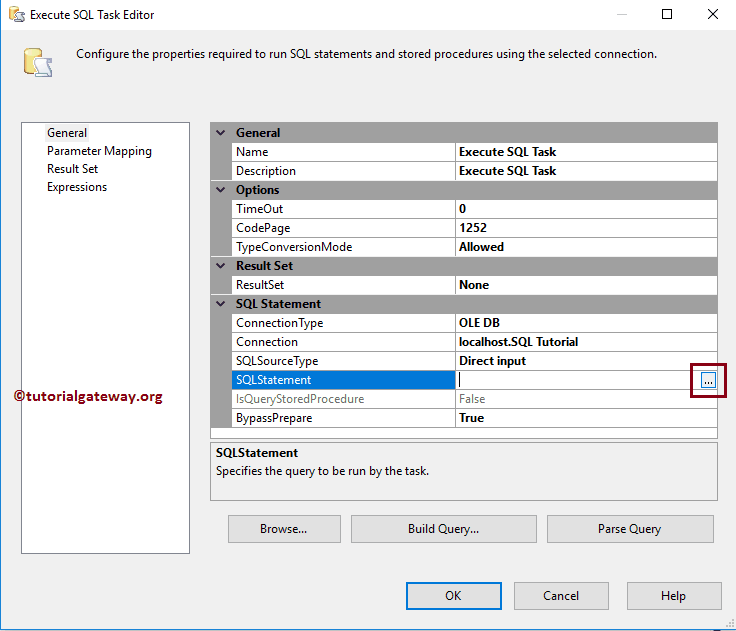 We already explained the Script task configuration steps in our previous article so please refer the same. 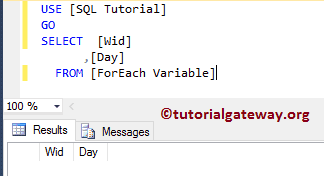 Here we selected the previously created variable as Read and Write variable. 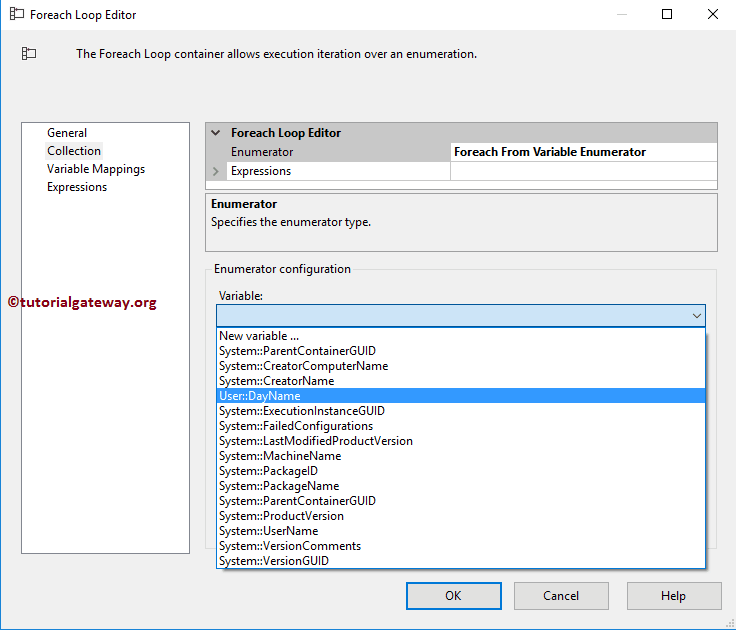 Double click on it will open the Foreach Loop Editor to configure it. Within the General tab, Please specify valid and more meaningful Name and Description. Please go to the Collections tab to select the Enumerator. 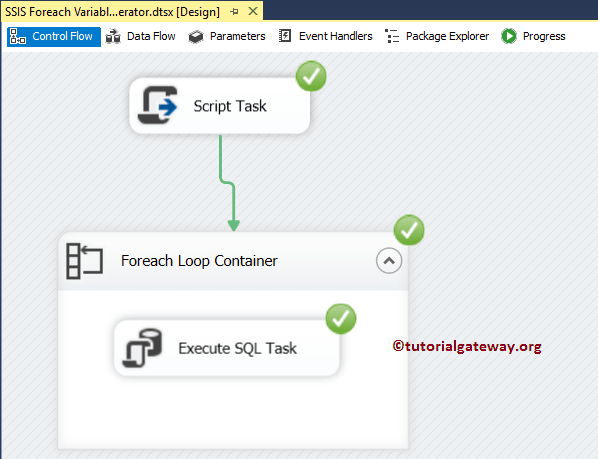 From the below screenshot you can observe that, we are selecting Foreach From Variable Enumerator because we want to loop over the variable. 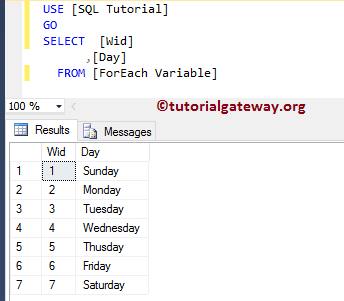 As you can see from the below screenshot, we are selecting the DayName variable. 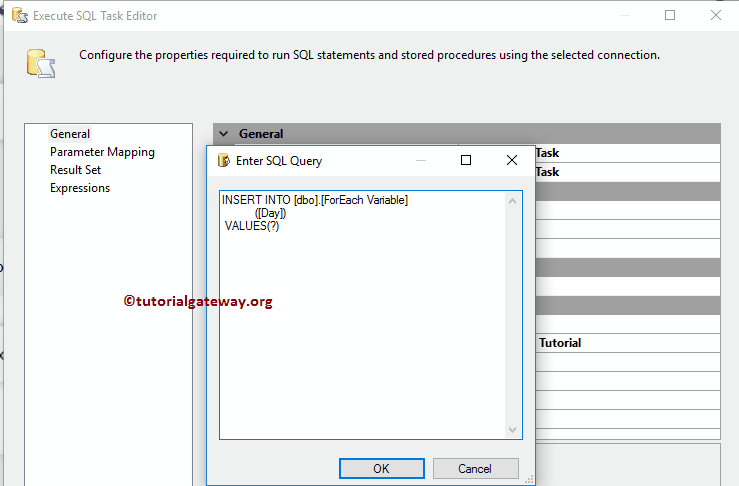 Next, we are assigning the returned value to string variable ( Day). This is very useful, if our Object variable is holding multiple column values. Next, we are writing the following SQL Query. Here the question mark will be replaced by the parameter value. 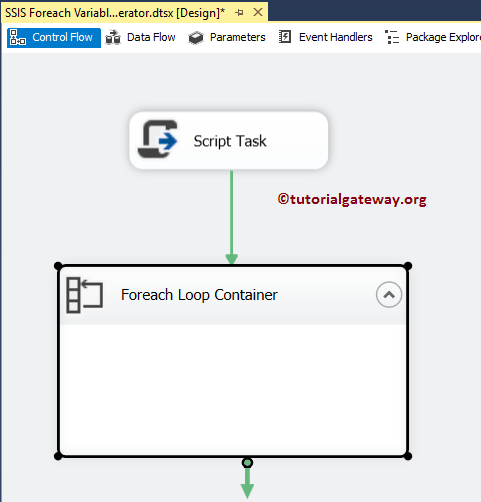 Go to parameter mapping and select the parameter that we assigned in Foreach Loop container.